Fire Hydrants are critical in times of need. We inspect & service private fire hydrants in BC. Our services are important for many critical industries and sectors across British Columbia. A visual check for leaks and rusting before and after flushing the hydrant. A full tear down to look for internal damage, gasket and tread conditions. Testing for adequate, sustained water pressure and proper drainage. Painting the hydrant, if needed. After our thorough inspection, we let you know if there are any deficiencies and upon request we maintain and repair your fire hydrants if needed. 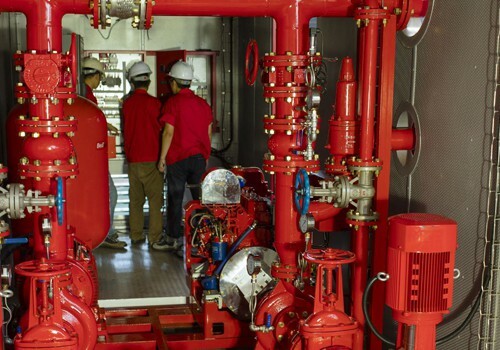 Stay compliant: As outlined in Part 6 Section 6.4 of the BC Fire Code the testing, inspection and maintenance procedures of the private fire hydrant shall be done in accordance with NFPA 25 and manufacturer’s instructions. Let the trained and knowledgeable Community Fire Prevention staff help you meet all requirements of both your local Authority Having Jurisdiction (AHJ) as well as outside insurance agencies. Know the Code: Community Fire Technicians are trained and certified by ASTTBC and stay up to date with ongoing in-house training of codes, standards and manufacturers requirements. Keep your fire hydrant in peak operation. : By completing the manufacturer recommended semi-annual inspections of private fire hydrants, you are increasing the assurance that the fire hydrant remains fully functional over the course of a year. Reduce the worry of insurance coverage eligibility: Community Fire electronically documents all services performed at every site including routine maintenance, annual fire inspections and on-going service calls to test and inspect fire equipment. Promote Safety: We demonstrate commitment to a higher standard of protection for your employees or residents by maintaining all your fire and life safety equipment professionally and on-time. Fire Hydrants that are located on your property are your responsibility according to the B.C. Fire Code and the Vancouver bylaw. Regular testing and inspections are required to ensure the functionality and effectiveness of the hydrants. Reliable Fire & Safety is happy to replace or upgrade your fire hydrant system if required.